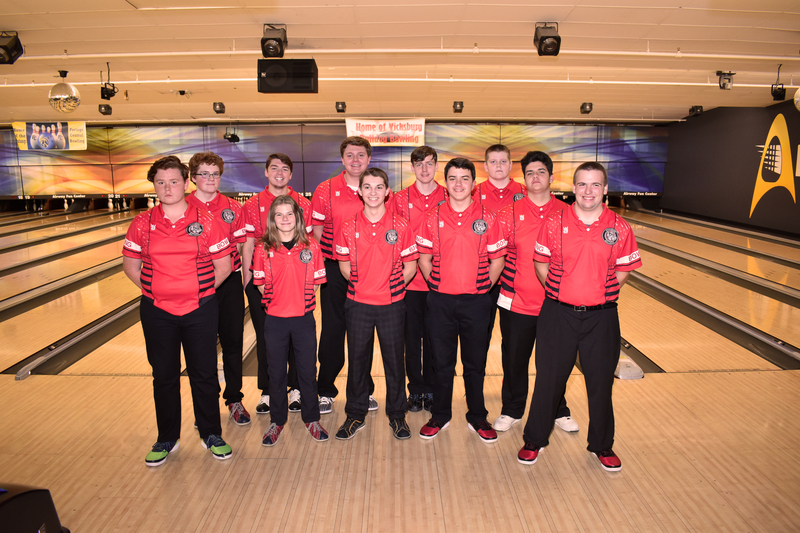 Bowling: Front row, from left: Landon Geark, Taylor Harvey, Collin Crandall, Regan Powell, JP Fritz, Kevin Munn. Back row, from left: Matthew Simonds, Sam Gearig, Trenton VanderBor, Hunter Bierema, Tristan Bierema. Not pictured: Jordan Cosby. Photo by Lisa Harbour.